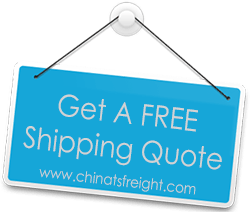 At TS Freight, our customers are offered Ocean Freight and Air Freight services to help them carry out fuss-free cargo import from China to Romania. Our cooperating network of top global carriers between China and Romania ensure that we can transport your cargo not only in the shortest time, but also at the lowest prices. With this network we can transport your goods from any major Chinese city including Ningbo, Hong Kong, Shanghai, Tianjin, Guangzhou, Shenzhen etc to major cities in Romania via both Sea and Air. Destinations in Romania that we ship to include major cities like Constanta, Mangalia, Bucharest, Socola among others. We ship cargo of any size, big or small, for our clients. We have been in the industry for over ten years and have had ample time and experience to streamline the logistics of our air freight and shipping operations. Our employees are experts who work with impeccable coordination to tend to the various elements of cargo import logistics. Our services include freight pickup, inventory, handling and door to door delivery. We take on the responsibility for delivery of containers to the shipper for loading of cargo, cargo insurance and documentation, inland ground transport, preparation for air freight or shipment and customs clearance in our door to door delivery service. At every stage of the delivery, we monitor your cargo and track its transport across the globe. We ensure that our commitments of timely and safe import from China to Romania are met.